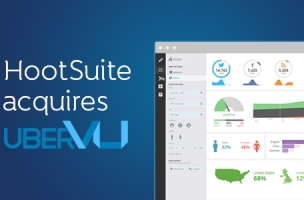 Social relationship platform HootSuite announced its acquisition of social analytics solution uberVU in January, and the first fruits of their combination were revealed with this week’s debut of data-visualization tool uberVU Boards. 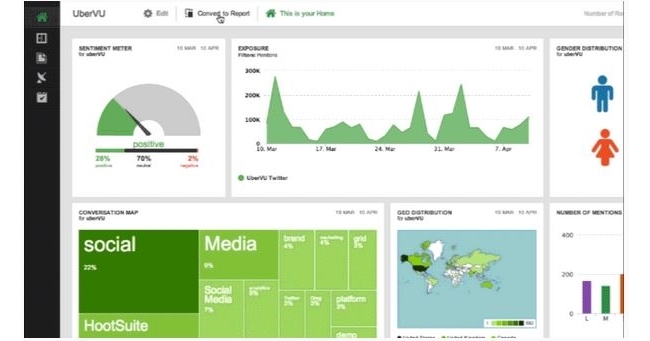 HootSuite said uberVU Boards allows users to pin adjustable widgets into unique dashboards and create customized, action-oriented data views, quickly identifying business insights from key analytics and aggregate data points. Customized campaign management: Manage campaigns in real-time using customized boards to track specific KPIs (key performance indicators) and metrics against targets. Create multiple boards to scale social analytics across projects and track progress, and then turn dashboards into reports for quick sharing across teams. One-stop social media management: Set up a personalized social media command center as your home board and pin metrics that are used daily, such as mention streams or spike signals. Use widgets like conversation maps to gauge brand sentiment and address questions without having to toggle between multiple streams, tabs, or timelines. Competitive market research: Use boards to stay up to date with industry trends and key conversations. Use side-by-side views for direct comparison of competitor standings and instantly aggregate data points most relevant to a division, campaign, or metric. Then, generate reports of key business insights with just one click from the same dashboard. 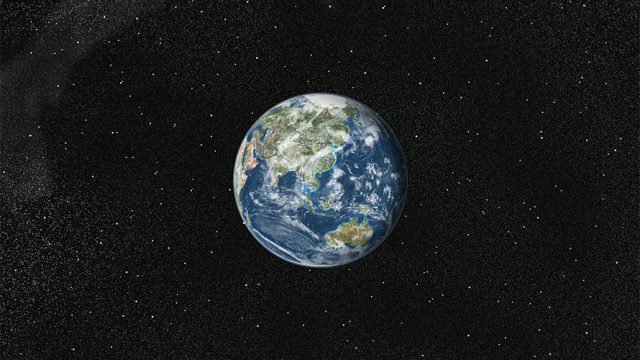 Since our acquisition of uberVU, we’ve been working hard to accelerate their vision to bring analytics to the front and center of the social business. With its ease of use, Boards empowers everyone, not just analysts, to quickly find business insights in analytics by easily building pinnable, custom analytics dashboards.